Easter Menu & A La Carte Menu served on Easter Sunday, April 21, 2019. 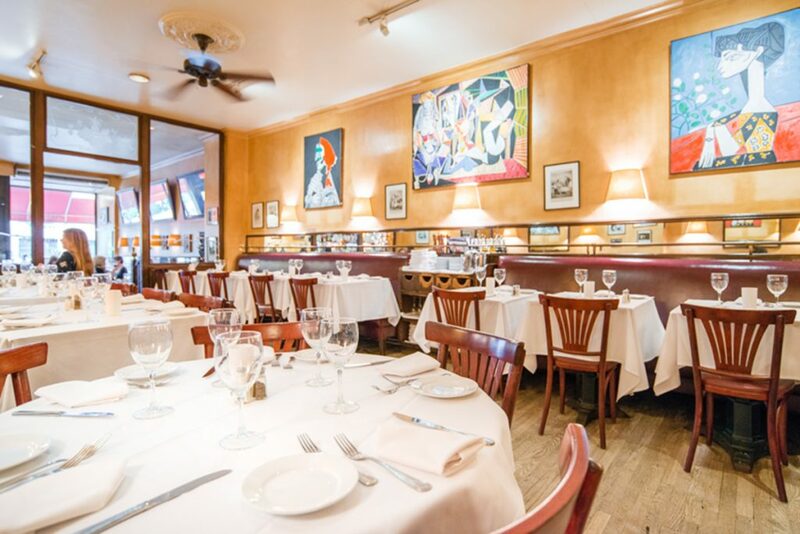 Authentic Family French Bistro Demarchelier, owned by artist Eric Demarchelier (brother of famed fashion photographer Patrick Demarchelier), is sure to deliver this Easter. Demarchelier brings a little piece of France to New York City. Every meal that leaves its kitchen aims to capture the essence of authentic French bistro fair. 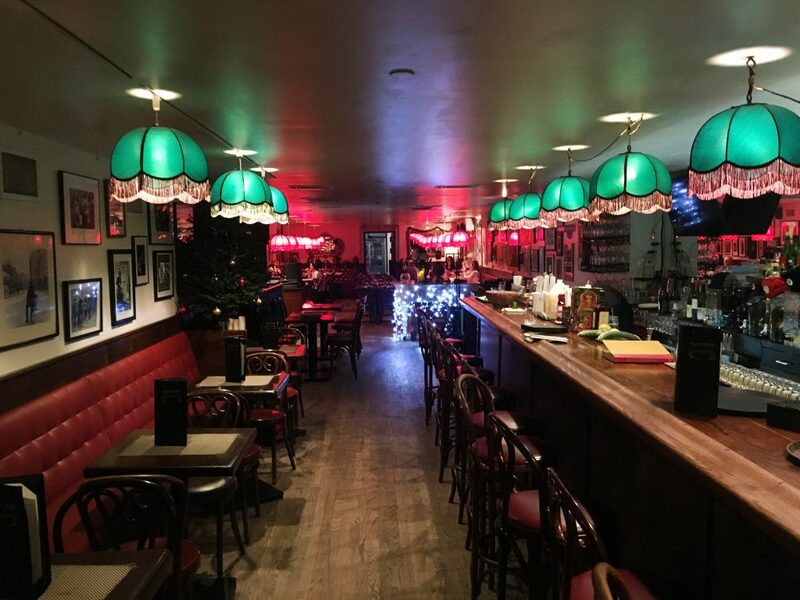 The family owned and run Upper East Side restaurant radiates a comfortable, colorful, warm and familial spirit that has made it a neighborhood fixture for a quarter-century. Ideal for a quick bite to eat, a romantic rendez-vous, or a simple family meal. The traditional French menu is paired perfectly with a wide range of predominantly French wines. This Easter, Demarchelier will be serving its regular Sunday Brunch for those coming from their Easter Sunday church celebrations with dishes such as their Organic Omelettes and the Smoked Salmon Platter. Demarchelier’s traditional a la carte menu will be served throughout the day with signature menu items including the Moules Mariniere au Vin Blanc; Duck Confit served over a hearty mix of tomato and tarragon scented flageolets; and Pan Sautéed Sole Meuniere, accompanied by mixed vegetables. 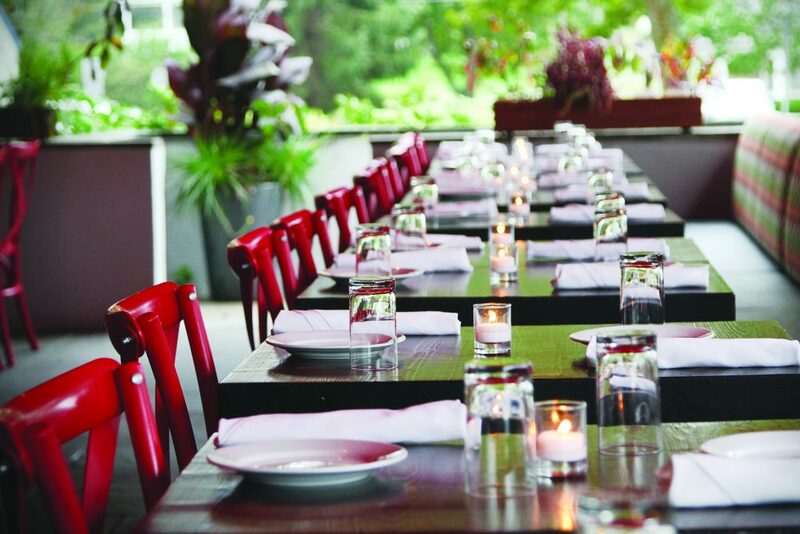 Russian Samovar offers their a la carte menu for Easter Sunday. Delectable appetizers from the a la carte menu include Beluga and Osetra caviar, Blinis filled with salmon or caviar, the Assorted Fish Platter (in-house cured Salmon Gravlax with dill, Smoked Atlantic Salmon and Smoked Butterfish), Vol-au-Vent (a wild mushroom puff pastry), traditional Borscht, a Pate Russe laced with brandy, and Pelmeni Stroganoff, veal or chicken with sirloin tips in a creamy mushroom sauce. 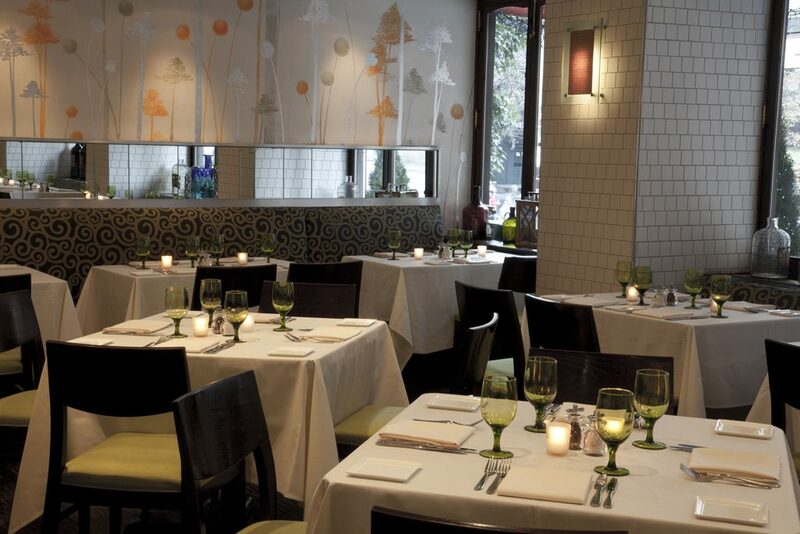 It is its signature entrees, however, that have put Russian Samovar on the culinary map. House specialties include Shashlik Karski (rack of lamb marinated in Georgian spices), Beef Stroganoff, Veal Pojarksi (ground veal and breast of chicken cutlets), Chicken Kiev and Pelmeni (veal, beef and chicken dumplings). Aside from its authentic Russian dishes, Russian Samovar is known for its 26 flavored vodkas prepared in-house, including ginger, horseradish, lemon and cranberry. In New York’s famous Soho District is the world-renowned, luxurious bean-to-bar chocolate company, MarieBelle Chocolates. This Spring the flagship retail location at 484 Broome Street offers patrons a sumptuous shopping experience for the eyes and appetite with lavish window displays. MarieBelle Chocolates’ signature artisanal ganache, lavish truffles and tantalizing chocolate bars are promptly placed throughout to inspire the appetite this Easter. Nestled at the back of the Soho store is the Cacao Bar which features a menu of desserts and pastries perfect for any tea time in addition to their exceptional hot chocolate drinks to enjoy this season. MarieBelle New York is artfully wrapping and customizing luxury candy confections. Relish in the sweetest gift for any occasion, available in-store or delivered same day anywhere in the Manhattan area. MarieBelle has the perfect Springtime gift with their Easter Collection. Try their Easter Ganache Collection beautifully wrapped in blue boxes with green ribbons that evoke the spirit of Spring and are ideal for Easter. Share that Spring feeling with their gorgeous assortment of Large Chocolate Easter Eggs. And no Easter is complete without the Easter Bunny and MarieBelle’s Double Easter Bunnies Box. You can purchase these and more, in-store or online at www.mariebelle.com. This Easter Sunday, diners can choose between the popular bottomless brunch (with 2 for 1 brunch cocktails) or dinner. Delectable dishes will be served such as Avocado Fries, Hearts of Palm Salad, Baja Tacos, Skirt Steak Tacos, and their widely popular house specialty Deconstructed Enchiladas. Do not miss the popular Guacamole En Molcajate, prepared mild or spicy. In the mood for a gourmet hamburger or a delectable milkshake? Try their newest dining hotspot, Union Burger Bar. The restaurant extension is co-located with the contemporary Mexican restaurant, offering an assortment of specialty gourmet burgers, fresh hand-cut fries, maniacal milkshakes & desserts and of course an elaborate craft beer and small batch bourbon selection. Union Burger Bar is first come, first served, no reservations, and is open for both lunch and dinner. Enjoy Easter at the Southampton Inn and Claude’s Restaurant, with breakfast from 7:00am to 10:00am, or Sunday Brunch from 10:00am to 3pm. 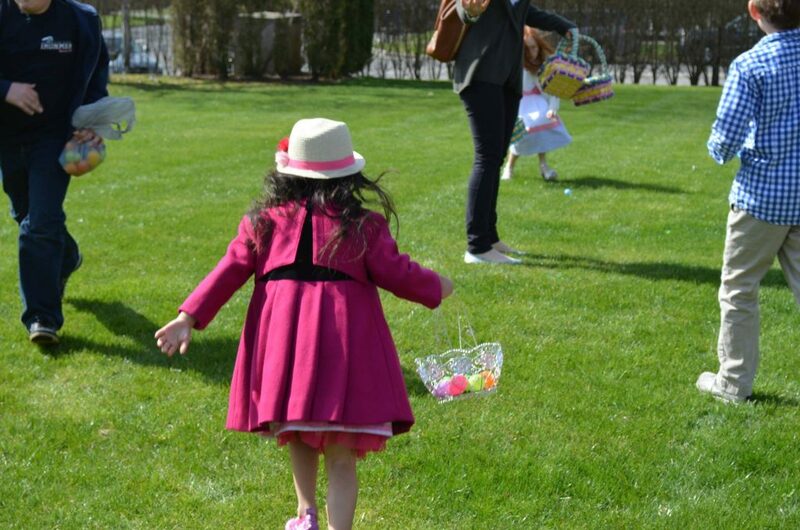 Children under 12 will have the opportunity to participate in the Inn’s Annual Easter Egg Hunt with the Easter Bunny, a free event for the community. This popular tradition will take place on the South Lawn at 10:00am on Easter Sunday. Book an overnight stay for two on Saturday, April 20 for $195, plus tax, and receive breakfast or Brunch for two at Claude’s on Sunday April 21. If you choose the Brunch option, Southampton Inn offers a late checkout of 1:00 PM. Easter Breakfast 7:00 AM – 10:00 AM, *Easter Brunch 10:00 AM – 3:00 PM on Easter Sunday, April 21, 2019. *The Easter Bunny will join the brunch.